Senior's don't always want to admit to loved ones that their health has declined to the point that it may be cause for concern. And ultimately that silence may keep them living in an environment not well suited for their maturing bodies and minds. Because health declines over time it is often hard for friends and family members to see what capabilities have been lost, making it difficult to see what daily challenges the senior faces and what measures the senior has to use to meet those challenges. Typically there are warning signs to indicate a problem is on the horizon: a senior will begin to have slips and falls, burns, cuts and bruises, or the occasional broken bone from simple, everyday tasks. These signs should indicate that a change in living circumstances may be forthcoming. At the onset of any of these signs it is a very good idea to begin looking for a Skilled Nursing Facility (often referred to as a Nursing Home), even if the senior has indicated that they have no intention of ever setting foot in one. Most people will agree that living in a Skilled Nursing Facility is not their ideal destination of choice. But take into account that most people that are in Skilled Nursing Facilities are there because that is where they need to be. Many facilities are full to capacity due to such a high demand and low bed availability because Skilled Nursing Homes can't just add more beds as they are needed. Each state establishes a set number of beds to control its occupancy and reimbursement rate. In some areas the waiting lists can be substantially long, making it difficult to find something in a pinch. Talk to the senior to see if they have already have a facility preference. Many older adults have heard of negative or positive experiences from other seniors. A senior may have friends that are in a particular facility; it can help to ease the stress of transitioning if a senior has familiar faces to come home to. If the senior doesn't have a preference, or if the preference isn't a good option, then the next step is to decide where, what city or area of town, you'd like the skilled Nursing Facility to be located. Take into account who will be visiting the senior regularly so the senior won't end up too isolated from friends and family. Once you have established a location, you can use Senioridy's easy Skilled Nursing Map search to explore all of the providers in that area. You can compare the facilities side by side in order to see who has the amenities and features you need. You can then save your favorite facilities to a list. If you have other family members that you need to consult or coordinate with you can easily send the list to them to look over. After finding about a half dozen viable Skilled Nursing options call around to friends and family to see if anyone you know has had good or poor personal experiences with the facilities on the list. Once you have a list of facilities that you feel relatively confident about call the facilities on the list to arrange a tour of each one. • What are the touring procedures? Once you have narrowed it down to your first and second favorite choices you need to discuss your choices with the senior if you feel like the senior is open to the discussion. (Sometimes they just aren't.) Next you will need to go through the steps that the facilities require of you so that you can be added to their waiting list. Typically there will be a cost associated with getting on the list. It is a good idea to get on more than one waiting list as your need may arise before the facility of your choice has an opening. It is best to have at least one good backup in case this happens. 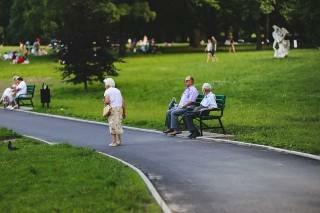 The Senior Facility market has improved tremendously over the years. More money is spent now than in the past to make residents feel like they are in a warm, comfortable, and inviting environment. But with all of the improvements within the industry, Skilled Nursing Facilities still suffer from a high employee turnover rate. While this is certainly not true of every facility out there, the industry as a whole does cycle through staff fairly regularly. So, if you are on a waiting list it is a good idea to check back with the administrator to ensure that your name is still on the list and how far down the list you are. Sometimes internal communications can break down and it is not uncommon to "fall off" of a waiting list. Checking periodically will help to ensure your place in line should the need arise. We can't emphasize enough, try not to delay the selection process while time is on your side. If something happens unexpectedly you will be ready with a choice and a clear understanding of what the next steps will be. That alone is priceless when it comes to managing the care of a senior loved one.